It can be difficult to sell your home while in a slow market, but there are certain things you can do to help ensure the house still sells in a timely manner. By understanding useful tips and strategies, you can still separate your home from the rest of the competition and bring in multiple offers from prospective buyers. The following are four tips to help you sell your home in a slow market. While each home is different and selling it may require a different strategy, these tips work well for every home and give you a great chance to sell your home and move on with the rest of your life. It is important to price your home according to the market. While in a seller’s market you may be able to charge far beyond the appraised value and still sell your home rather quickly, it is important to ask for a reasonable offer that is appropriate for your home value in a slow market. The key to doing this is to try and get multiple offers on the table, which allows you to begin a bidding war for your home. Since it can be hard to be realistic about the value of your home as you likely have sentimental value added in, it is important to have an appraisal done to determine the price point. The next step is to make sure your home stands out from all the others, particularly those that are priced around the same amount as you have yours listed for. Making your home stand out likely means ensuring the lawn is in the best possible condition, the home is clean and organized and all the repairs are up to date. By having your home updated with all the necessary renovations and repairs, you can ensure it catches potential buyers at first glance and shows them exactly what their house could be like. When the market is fast-paced and there are plenty of buyers out there, it can be easy to just ignore a bad offer on a home and move on. When the market is slow, you may not be rewarded with this luxury. During a slow market, be sure to hear out every offer and counter on bad offers. Even bad offers indicated the prospective buyer is interested in your home, so they may be willing to come up on the price if you counter the offer. 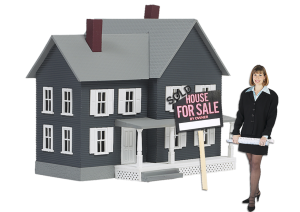 Last and perhaps most importantly, it is crucial to find the real estate agent to help you sell your home. While there are certain things that you can do yourself to help sell your home faster – such as keeping your home in good condition – a good agent can assist you in all of the areas that require an expert, allowing you to sell your home as quickly as possible and for a very fair offer.